Daily application, morning and/or evening, on a well cleansed skin, apply 2 to 4 pumps on face and neck. 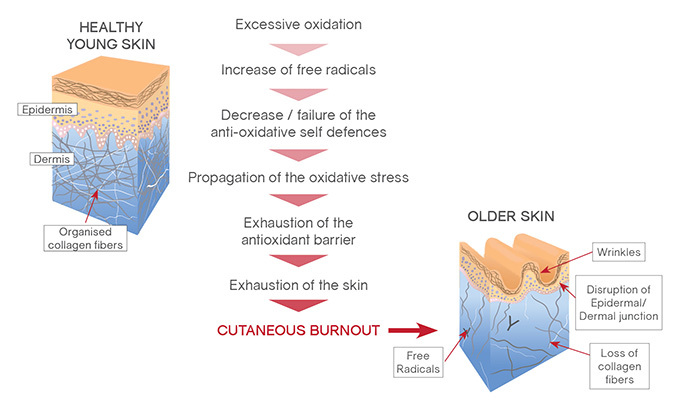 How can you protect your skin from oxidative stress? The « antioxidant barrier » is the skin’s self defence system responsible to limit the oxidation caused by both internal and external sources. The skin’s defence system becomes less efficient over time, but also due to the increasing number of aggressions that exhaust it.